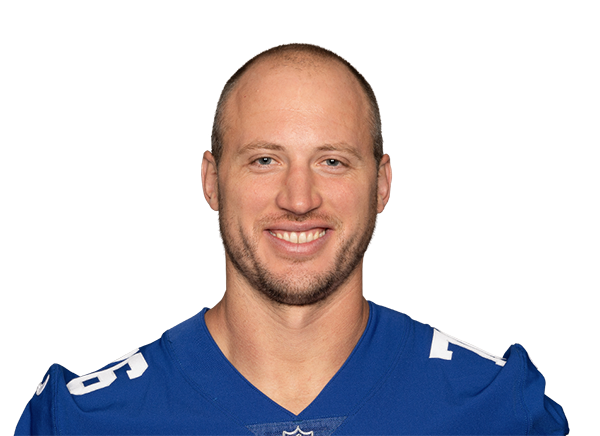 Nate Solder plays as an offensive tackle for the New York Giants of the National Football League (NFL). Solder began quite on time to carve a niche for himself in the game of American football and has earned a lot of recognition over the years. Among other attainments, the NFL player has won two Super Bowl victories. There is so much more to know about Nate Solder apart from his professional career; here are lesser known facts about the footballer. He was born on April 12, 1988, in Denver, Colorado. Nate Solder was always inclined to the game of football starting out before his high school to show his forte in the sports. He is an alumnus of Buena Vista High School, Colorado where he played as a tight end for the school’s football team. After a successful high school stint, he proceeded to the University of Colorado in 2006 and played for the Colorado Buffaloes. He was redshirted that year, but joined fully in 2007 and caught 3 passes for 50 yards. Nate moved from the tight end and started playing at the tackle position in his sophomore year. Afterward, he played as the starting offensive line and kept the position for his next three seasons. College Football Insiders named Solder as a fourth-team All-American in his junior season. He also emerged as one of three finalists for the Outland Trophy in 2010. Nate Solder went pro in 2011 when he was chosen by the New England Patriots in the first round of the 2011 NFL Draft. Solder who was already on the team’s radar had a workout session with their offensive coach before that year’s draft. Following his selection, he signed a four-year $8.54 million contract with the Patriots and also bagged a whopping $4.7 million as signing bonus. In his 2011 season, Solder started 13 out of 16 regular season games. He was made the Patriots’ starting left tackle in the 2012 season after Matt Light retired. He was the starter at all the season’s games and recorded 1,234 snaps on offense. In 2015, the footballer was given a two-year extension with an addition of $20 million. Also in that season, the NFL player earned the title of captain after he was voted by his teammates. This would be his first ever stint as captain of a team. However, he was later placed on injured reserve after sustaining an elbow injury. Solder bounced back in the 2016 season and was part of the team’s Super Bowl LI victory that year. Nate Solder joined the New York Giants in 2018. He signed a four-year $62 million contract with the team earning the title of the highest paid offensive lineman in the NFL. Nate Solder has garnered quite enough wealth in the course of his professional career. The NFL player has his career earnings estimated at $23.1 million. Part of his income also comes from his different endorsement deals. Although he seems so busy and entangled with his professional career, Nate Solder like most of his counterparts makes out time for his love and family life. The NFL player is married to his wife Lexi Allen Solder. Lexi Allen, a native of Southbury, Connecticut, played basketball during her school days. She won the NCAA Division II basketball championship with Southern Connecticut State University in 2007. The couple met through a mutual friend. Things got really serious between the two and they finally tied the knot in 2014. They have a son together, his name is Hudson. A sad feeling befell the family after their son was diagnosed with kidney cancer at 3 months. The young lad still fights the disease till date and has been undergoing chemotherapy. It may have been a matter of heredity as Solder himself is a cancer survivor. The NFL player suffered testicular cancer but has been healed of his infirmities after he underwent a surgery in 2014. Nate Solder has the right body that suits his daunting and challenging career. He has all the height and weight he needs to run over his opponents. Nate stands at a height of 6 ft 8 in (2.03m) which is quite proportional to his weight of 147kg (325 lb). For an offensive tackle, Solder’s 35 1/2″ arm length and 9 7/8″ are all he needs to block his opponents.